Mary Catherine "Mollie" (McKnight) Pratton was born on Aug. 23, 1875 in Fayette City, PA, the daughter of Henry and Martha (Nutt) McKnight. On Christmas Eve 1895, when she was age 20, Mollie married Joseph Benjamin Pratton Jr. (1871-1944) at Brownsville, Fayette County. Rev. W. Scott Bowman performed the ceremony. A native of England, Joseph was the son of Joseph B. and Martha (Badman) Pratten Sr. of Wheeling, Ohio County, WV. He came to the United States in about 1887, when he was age 16, first residing in Brownsville, Fayette County. The Prattons had 11 children -- Alice Hogg Christoff, Joseph Henry Pratten, John Wilgus Pratten, Dora Constance Kimmel Beadling, Theodore Roosevelt Pratten, Gertrude Stevenson Boyd, Eleanor Coulter White, Edward Freeman Pratten, Elizabeth Valerie Beust, Mary "Viola" Uram and William Quinton Pratton. Sadly, son Edward died at the age of three on Christmas Eve 1915, with his tender remains buried in Canonsburg at Oak Spring Cemetery. The couple is seen here later in life. The Prattons lived at Fayette City near Brownsville, Fayette County, PA. Later, in about 1913, they moved to Canonsburg, Washington County, PA. Joseph was employed at the Budke mill, and they were members of the St. Thomas Episcopal Church of Canonsburg. During World War I, Molly suffered through the tragic death of her brother William, killed in a railroad accident in France, and the devastating poison-gas and shrapnel wounding of her brother Charles. When brother Charles returned stateside, he sent Mollie a letter from a convalescent hospital in New Jersey, writing: "I done my best, but I will never be able to do another day's work." Then, during World War II, the family worried as son William Quinton Pratton and several grandsons served overseas with the U.S. Armed Forces. Joseph died on March 8, 1944, at the age of 73. Pallbearers at his funeral included Roy Pratton, James Boyd, Theodore Christoff, Richard Beadling, Francis Beadling and William Radcliffe. Musical selections were performed by Mrs. Charles Taylor, Mrs. Frank Grimm, Amy Crawford and Ralph Steiner, accompanied by Mrs. Fred Townrow. Son William was away in military service at the time, stationed in Oklahoma. As a widow, Mollie moved into the home of her married daughter Viola Uram in Strabane and then Canonsburg. When she became ill in the 1950s, she moved in with daughter Eleanor White in Wampum, Lawrence County, PA, though she enjoyed returning to Canonsburg for visits. She died at the Whites' home on Jan. 12, 1961, at the age of 86. Her remains were returned to Canonsburg for burial beside her husband at Oak Spring Cemetery. In her obituary, the Connellsville Daily Courier said she was survived by 37 grandchildren, 25 great-grandchildren and two great-great grandchildren. Nursing runs deep in this family. Daughter Viola Uram was a nurse, working at Canonsburg General Hospital and later at the Washington County Health Center. Daughter in law Evelyn (Wooliscroft) Pratton, a graduate of the first class of Canonsburg General's nursing school, was a nurse at Canonsburg General and was the school nurse in the Canonsburg school system. Daughter Eleanor White was a registered nurse in Canonsburg and after raising children went back to work full time at the Ellwood City Hospital. 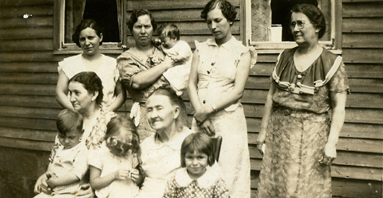 Four generations: Mollie (left) and her aged mother Martha, seated; back, L-R: Dora, Alice holding her namesake grandbaby Mary Alice Moskal, Catherine Moskal & Anna. The others are unidentified. Daughter Alice Hogg Pratton (1897-1981) was born on Dec. 30, 1897 in Fayette City. On March 20, 1916, when she was age 19, Alice married Charles Joseph Christoff Sr., the son of John and Anna (Weiser) Christoff. They had six children -- Anna Catherine Moskal, Charles Joseph Christoff Jr., Grace "Irene" Harding, Theodore Honus Christoff, John Francis Christoff and Elizabeth "Valerie" Hutchison. 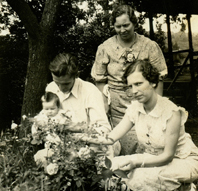 Seen here: Alice poses with her daughter Anna Catherine and son in law Harry Moskal and new baby granddaughter Mary Alice Moskal. Their home was on Iron Street in Canonsburg. Alice died on June 22, 1981 at Cambridge Springs, at the age of 84. She rests for eternity in Forest Lawn Cemetery in McMurray, PA. Daughter Anna Catherine Christoff wed Harry Moskal. Circa 1992, she lived in Baltimore, MD. Christoffs, Boone Terrace, Canonsburg -- back, l-r: Grace Irene Harding, Elizabeth Valarie Hutchison, Anna Catherine Moskal, John Francis Christoff and Charles J. Christoff Jr. Seated: Alice Pratton Christoff and Charles J. Christoff Sr. Kneeling: Theodore Honus Christoff Sr. Son Charles Joseph Christoff Jr. (1918-1970) married Mildred K. Custer (1927-2012), daughter of George H. Custer of Pittsburgh. They had at least two children -- Charles J. Christoff III and Nancy Masterovsky. Charles Jr. passed away in Canonsburg on March 22, 1970, at the age of 52. Mildred outlived her husband by 32 years. She was a librarian with Greater Canonsburg Public Library for more than half a century. She retired in 1999, having begun her career as a page at the age of 12, and retiring as head librarian, a position she held for 31 years. She also was active with the Canonsburg Hospital Ladies Auxiliary and Canonsburg United Presbyterian Church. In her later years, Mildred moved to Arizona to be closer to her married daughter. She died in Chandler, AZ on Nov. 4, 2012, at the age of 85. Her remains were returned to Western Pennsylvania for burial in Oak Springs Cemetery. Daughter Grace "Irene" Christoff (1923-1992) was born on Aug. 28, 1923 in Canonsburg. On Nov. 9, 1947, when she was age 24, Irene married John W. Hardy. They had five children -- John Charles Hardy, Joseph M. Hardy, Mike J. Hardy, Bruce A. Hardy and Teddi Hagerman Drews. Irene and John spent most of their married lives in Greensboro, where they attended Faith Church of the Nazarene. Later, in 1988, they relocated to Carmichaels, Greene County. Irene died at the age of 68 on March 19, 1992, in Monongalia General Hospital in Morgantown, WV. At her death, she was survived by 11 grandchildren and one great-grandchild. Son Theodore Honus Christoff (1925-1995) was born on Dec. 2, 1925 in Canonsburg. He married Irene Rozanc (1927-1969), a native of White Valley, Westmoreland County, PA, and the daughter of Anthony and Josephine (Luzer) Rozanc of Houston, Washington County. They lived in Houston, Washington County and had four children -- Charles Anthony Christoff, Janet Lynne Christoff, Josie Christoff and Theodore Christoff. Theodore served in the U.S. Navy during World War II. Irene was employed at Mayview State Hospital as an attendant. Circa 1968-1969, son Charles served in the U.S. Armed Forces in Vietnam. Sadly, Irene died at age 41, at Canonsburg General Hospital, on Jan. 10, 1969. Theodore outlived his wife by 26 years, and moved from Houston to the city of Washington. He was employed for many years as a crane operator at Universal Cyclops Steel Corporation in Bridgeville. (Seen here: the Universal Cyclops office building in Bridgeville.) Theodore passed away at the age of 69 on Feb. 24, 1995, with burial in Forest Lawn Gardens in McMurray. Daughter Elizabeth "Valerie" Christoff ( ?- ? ) wed Vincent Hutchison ( ? - ? ). They resided in Washington, Washington County. Son Joseph Henry Pratton (1898-1933) was born on July 31, 1898 in Fayette City. He married Irene Agra Bruce on June 3, 1922. They had four children -- Marjorie Louise Stratton, Mary Ellen Pratton, Carolyn Pratton and Joseph Henry Pratton Jr. Tragically, Joseph died at the age of 34 on Jan. 6, 1933, leaving behind his widow and four young children. Daughter Marjorie Louise Pratton married John H. Stratton Jr. on Oct. 17, 1943. They lived at 350 Manson Street (in Canonsburg?) and had at least one son, John H. Stratton III. Circa 1945, John was employed by IBM, "where he is learning to be a tool maker," said a newspaper. Daughter Mary Ellen Pratton (1927-1969) died on Oct. 14, 1969 at the age of 42. Son John Wilgus Pratten Sr. (1900-1979) was born on Oct. 18, 1900 in Fayette City. He was a college teacher and painter whose work decorates Sea World's entrance in Florida. John married Daisy Bruce in Canonsburg on Sept. 2, 1924, when he was age 24. They had four children -- John Pratton, Barry Pratton, Bruce Pratton and Wayne Pratton. The Prattons moved to the Hudson Valley, NY in 1929, settling in Poughkeepsie. They were very active in the Duchess County Art Association, and he worked creating display advertising, and teaching portrait and landscape painting. During the 1940s and early '50s, they managed the Wayman Adams summer art school in Elizabethtown, NY, in the heart of the Adirondack Mountains. They later moved to St. Augustine, FL, where John conducted art classes and was active in local art association. In 1955, he authored the book Portrait Painting for Beginners. It was reprinted at least twice. In July 2000, a search of the Internet identified six booksellers in the U.S. and Canada who had this rare volume on their shelves. John passed away on March 30, 1979, at the age of 78. Son John Wilgus Pratten Jr. (1925-2005) married Marjorie Benschoten. He served in the US Navy during World War II as a gummer on the destroyer Hulsey Powell. After the war, in 1956, they moved to Rochester, NY. He worked for IBM in Rochester for 43 years. He was active in the Boy Scouts, Kiwanis and Big Brothers Big Sisters. He also sang in the IBM Male Chorus and in barbershop quartet groups. Daughter Dora Constance Pratton (1903- ? ) was born on Jan. 26, 1903 in Washington County, PA. Her first husband was John William "Wild Bill" Beadling (1897-1976), a native of Coal Bluff, Washington County. Their five children were William Curtis Beadling, Charles Thomas Beadling, Francis Jerome Beadling, Richard Vernon Beadling and Shirley Mae Coffey Junkins. In the late 1910s and early 1920s, they made their residence in Pittsburgh. By 1923, they apparently had moved back to Canonsburg. William passed away in October 1976, at the age of 79. Later, Dora wed Frank Kimmel. She "worked for the Clark Candy Factory, Pittsburgh, and later as a clerk for Gimbels, retiring in 1970," said a newspaper. "She was a member of St. Thomas Episcopal Church, Canonsburg." Dora suffered through the death of her 49-year-old son Charles on Aug. 5, 1970, in Canonsburg. In retirement, Dora moved to Pasadena, TX. Suffering from cancer, she passed away there in Pasadena General Hospital, at the age of 72, on Jan. 9, 1975. Her remains were brought back to Canonsburg for interment in Oak Spring Cemetery. She was survived by 21 grandchildren and 12 great-grandchildren. Circa 1975, all of Dora's adult children lived in Pasadena. Son William Curtis Beadling (1919- ? ) was born in May 1919 in Pittsburgh. He married Ethel Leona Wicks. They had three children -- June Lee Beadling, Leona Mae Beadling and Joseph William Beadling. Sadly, son Joseph died on Sept. 2, 1983, at the age of 37. Son Charles Thomas Beadling (1921-1970) was born on May 14, 1921 in Pittsburgh. He married Geneva Neadeanne Conn (1927- ? 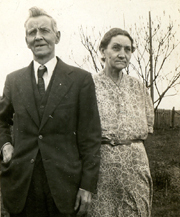 ), the daughter of Joseph and Edna (Augustine) Conn of Confluence, Somerset County, PA. He served in the U.S. Navy during World War II, seeing activity in the European-African-Middle East campaign. Charles and Geneva had six children -- Constance Eileen Gibbs Kinnick, Charles Thomas Beadling Jr., John Francis Beadling, Richard Stanley Beadling, Joseph Ryan Beadling and Jeffrey Dean Beadling. Tragically, son in law Curtis Allen Gibbs, a Vietnam veteran, was killed in a motorcycle accident in Key West, FL on Aug. 27, 1976. Adding to the heartache, son Joseph, a graduate of Washington & Jefferson College, and an employee of Mellon Bank, died on March 14, 1992 after a long illness. Son Francis Jerome Beadling (1923- ? ) was born on Jan. 23, 1923 in Canonsburg. He married Mary Sevenson in 1955. They had one daughter, Mary Beadling. Daughter Shirley Mae Beadling (1930-1987) was married twice, first to Jack Coffey ( ? -1963). They had five children -- Christine Coffey, Jacqueline Coffey, Larry Coffey, Steven Coffey and John Coffey. Tragedy rocked this family in 1963, when Jack drowned in Lake Pymatuning. Shirley later married (?) Junkins. She died in 1987 at the age of 57. 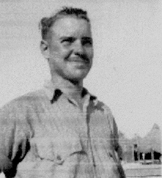 Son Theodore Roosevelt Pratton (1904-1979) was born on Dec. 7, 1904 in Fayette City. On May 22, 1926, at the age of 22, he married Evelyn Bell Wooliscroft (1907-1986), the daughter of Frank and Lily (Jakeway) Wooliscroft of Canonsburg. They had five children -- Freeda May Greer, Theodore Roy "Bub" Pratten, Lily Marlene Kelly, Frank Ronald Pratten, and Carol Louise Fetkenhour. Evelyn, a graduate of the first class of Canonsburg General's nursing school, was a nurse at Canonsburg General and was the school nurse in the Canonsburg school system. They were members of the First United Methodist Church of Canonsburg. Theodore passed away in Canonsburg Hospital, two days before his 75th birthday, on Dec. 5, 1979. He is buried at Oak Spring Cemetery in Canonsburg. Evelyn outlived her husband by seven years. She went to live in the Canon House in Canonsburg. During a visit to her daughter Marlene in St. Louis, she fell ill and died at the age of 79 on Oct. 8, 1996. A newspaper reported that among her descendants were 15 grandchildren and six great-grandchildren. Son Theodore Roy "Bub" Pratten (1929-2006) married Beverly (?) and resided in San Jose, CA. He was the 1947 senior class president of Canonsburg High School, and a chemical engineering graduate of the University of Pittsburgh. The Observer-Reporter said that he "was a pilot in the U.S. Army Air Corps from 1947 to 1949. He retired from Underwriters Lab, San Jose, in 1994." He passed away on May 30, 2006, and was laid to rest at Mission City Memorial Park in Santa Clara, CA. Daughter Freeda Pratten married Lawrence "Bus" Greer (1924-2008) on April 30, 1948. They lived in Canonsburg had three children -- Lawrence F. Greer, David W. Greer and Kristine Manfredi. Lawrence was a U.S. Army Air Force veteran of World War II, and as a tail-gunner on B-17 aircraft was shot down three times. Said the Washington Observer-Reporter, he was "a truck driver for Railway Express for 25 years and, prior to his retirement, was a dispatcher for Grief Brothers for 10 years. He was last employed at Thompson Hardware in Washington Crown Center." Lawrence died at the age of 83 on Jan. 16, 2008, and was laid to rest in Forest Lawn Gardens in McMurray. Grandson Lawrence Frederick Greer, a U.S. Marine of North Strabane, Washington County, was killed in action in Quang Tri Province, Vietnam, on Feb. 2, 1969. His remains were returned stateside, and he is buried in Canonsburg, PA. Over the years, he has been named and pictured in Washington Observer-Reporter articles about the war. The most recent was on Memorial Day 2005, when a photograph was printed showing a close-in view of his name on the Vietnam War Memorial in Washington, DC. Grandson David W. Greer married Sandra Lynn Pleskovich of Canonsburg in 1981. They had two children -- Jennifer Gordon and Adam Greer. Sandra was a graduate of the Washington Hospital School of Nursing and California University of Pennsylvania, where she received a bachelor's degree in nursing. She worked as a documentation specialist at Canonsburg General Hospital. Sadly, at age 51, Sandra passed away on Oct. 23, 2011, in the Cleveland Clinic. Following mass of Christian burial in Holy Rosary Roman Catholic Church, she was laid to rest in the Queen of Heaven Cemetery in Peters Township. Son Frank Ronald Pratten lived in Canonsburg circa 1986. Daughter Marlene Pratten married Thomas Kelly. They lived in St. Louis, MO. Daughter Carol Louise Pratten wed Dr. Carl Fetkenhour and made their home in Winnetka, IL. Daughter Gertrude Stevenson Pratton (1907-1979) was born on March 18, 1907 in Fayette City. 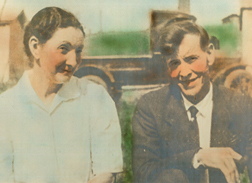 Gertrude married James Admul Boyd. They had one son, James A. Boyd Jr. The family made its home in Canonsburg. She passed away in 1979, at the age of 72. As with many members of the Pratton clan, she is interred in Canonsburg's Oak Spring Cemetery. Daughter Eleanor Coulter Pratton (1910-1975) White was born on March 14, 1910 in Fayette City. On May 29, 1934, when she was age 24, Eleanor wed Louis Emmerson White ( ? - ? ). They had four children -- Audrey Lou White, David Emmerson White, Susan Ria Patterson and Gertrude Myrtle White. Eleanor graduated from Canonsburg General's School of Nursing in 1931. She worked as a registered nurse in Canonsburg and after marriage did some part time nursing, and then in 1949 went back to work full time at the Ellwood City Hospital. She retired in 1975 as a nursing supervisor with 26 years of service. She passed away on July 29, 1975, at the age of 65. Daughter Elizabeth Valerie Pratton (1914-2007) was born on June 1, 1914 in Fayette City. She married Vernon Lee Beust (1903-1990) on July 6, 1935, when she was 21, and he was 32. There was an 11-year difference in their ages. They had two daughters, Bonnie Lee Beust and Lynn Diann Beust. Circa 1944-1995, Elizabeth resided in Poughkeepsie, NY. Vernon is believed to have died at the age of 86 on April 3, 1990. Elizabeth survived him by 17 years. She passed away on Jan. 10, 2007, at the age of 92. Daughter Mary Viola Pratton (1916-1995) was born on Nov. 14, 1916 in Manifold, Washington County. Viola married Harry Uram, Jr. (1912-1993), also a native of Manifold, and the son of Harry and Mary (Kecs) Uram Sr. The wedding was held on March 31, 1933, when Viola was age 17, and Harry 21. Their four children were Harry H. Uram, David J. Uram, Judith Setto and George Uram. Viola was a nurse, employed at Canonsburg General Hospital and later at the Washington County Health Center. She also served as a Democratic committeewoman for the Third Ward of Canonsburg. Harry "spent most of his life in Canonsburg, where he was a member of St. John the Baptist Russian Orthodox Church," said the Washington Observer Reporter. "He was a registered plumber and a member of Plumbing Local 27 of Pittsburgh. [He] was a member of the Russian Brotherhood Organization, the Labor Temple and the Canonsburg Sportsmen Association." Harry passed away on Aug. 6, 1993, after six decades of marriage. He was survived by 12 grandchildren and 10 great-grandchildren. At the time, all of his adult children lived in Canonsburg. Viola died on Jan. 29, 1995, at the age of 79. Burial was in Oak Spring Cemetery. Son Harry H. Uram (1934-2006) was born July 29, 1934 in Canonsburg. He marred Loretta E. Espy (1938-2016) on April 23, 1960, when he was age 26 and she 21. They had one daughter, Rhonda Lea Uram. Harry as employed for two decades as a crane operator for Taylor-Wilson Manufacturing of McKees Rocks, near Pittsburgh. He also was a member of the South Canonsburg Church, Canonsburg Fire Department and, like his father, the Labor Temple and Russian Club. In addition, he served with the Pennsylvania National Guard. Loretta graduated from the Presbyterian Hospital School of Nursing in Pittsburgh and went on to a four-decade career as a nurse in the Washington Hospital operating room. The family enjoyed vacations to the shore, with a special love for Lake Erie and Ocean City, MD. Harry died at age 72 in Washington Hospital on Nov. 16, 2006, with burial following in Forest Lawn Cemetery in McMurray. Loretta survived for about a decade as a widow. She died in UPMC-Mercy Hospital in Pittsburgh at the age of 78 on July 16, 2016. An obituary was published in the Washington Observer-Reporter. Son David J. Uram married Judy and lived in Canonsburg. Son George Uram married Earlene and resided in Canonsburg. Daughter Judith Uram wed William Setto and they made their home in Canonsburg. Son William Quinton Pratton (1918-1993) was born on Oct. 20, 1918 in Fayette City, the youngest of 11 siblings. He married Shirley Bonzo ( ? - ? ). They had two children -- William Pratton and Susan Pratton. William served in the U.S. Marines in the South Pacific Theatre in World War II. He was pictured (2nd from left) in a newspaper article, seen here, saying his "assault group landed on the western Okinawa coast, close on the heels of the Infantry, and moved 1,200 yards inland where they established operations on the site of the former Jap bomber strip at Yontan airport." While in the service, he enjoyed writing thoughtful letters to relatives back home, among them his cousin, Wilbert "Bic" Horstman. William died on Dec. 30, 1993, at the age of 75.